the open spaces in the Falkland Fiber Club go down tomorrow evening, so that i have enough time to dye. better get them now, if you’ve been putting it off. 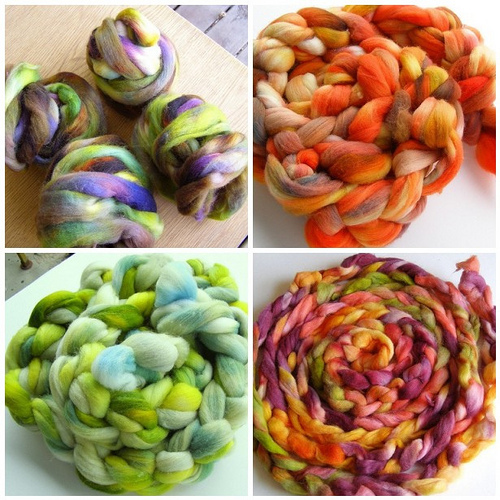 This entry was posted in cosyknitsliterally, dyeing, fiber club, handspun, spinning by cosymakes. Bookmark the permalink. Oh, as a fellow yarnie the LAST thing I need is more fiber, but that last photo, the one on the bottom right? That is STUNNING. Also the one right next to it. You’re killing me, lady.